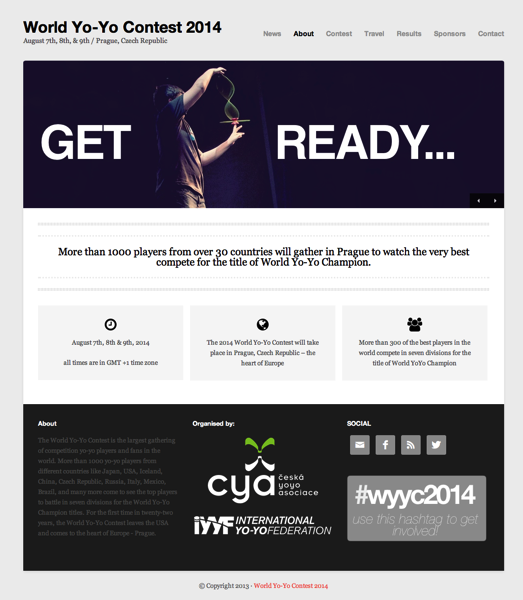 YoYoExpert Blog & Yo-Yo News – 2014 World Yo-Yo Contest in Prague! 2014 World Yo-Yo Contest in Prague! More than 1000 players from over 30 countries will gather in Prague to watch the very best compete for the title of World Yo-Yo Champion. The 2014 World Yo-Yo Contest Website is live! New Release! Marcus Koh Signature Equilibrium! YoYoFactory Presents The 2015 WYYC After Party Pack!